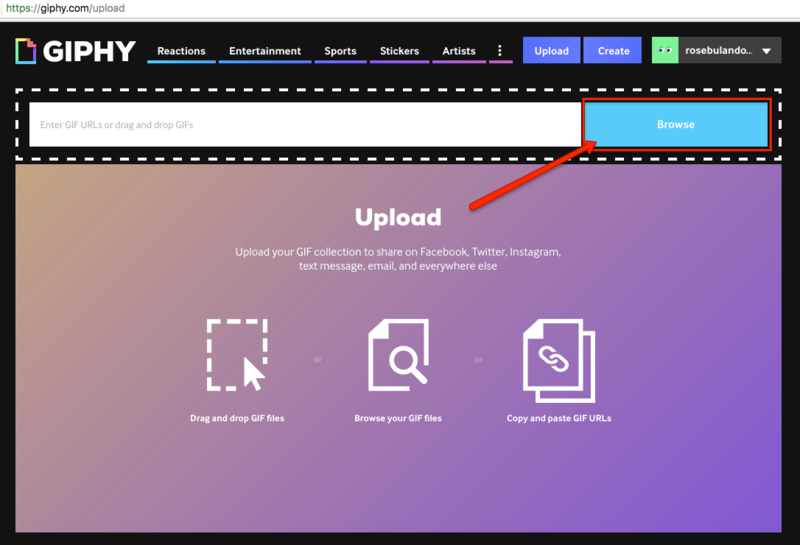 You might consider uploading your gifs to free gif – hosting sites like GIPHY. Doing so allows you to share your cool gifs a lot easier on Facebook, Twitter, Instagram, text message, email, websites and everywhere else on the internet! 1. Sign up for a free account at Giphy.com. 3. 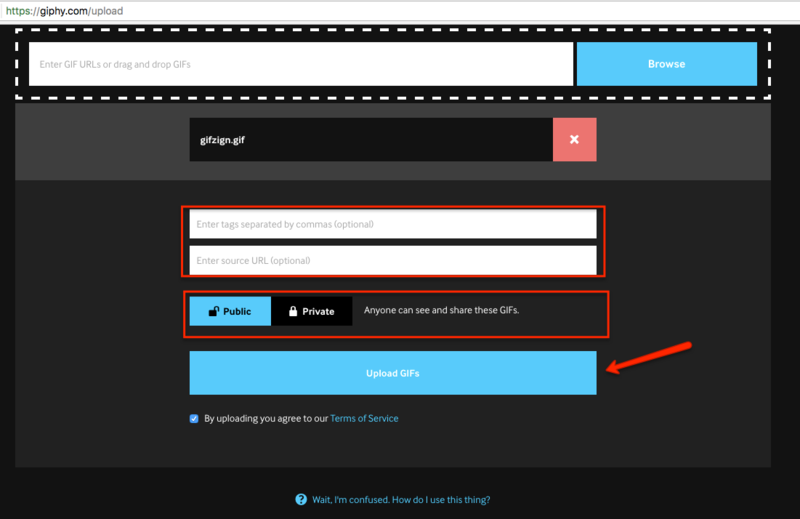 Click on browse and upload your gif file. 5. That’s it! Your gif is ready!